LanAgent - Computer Monitoring Software, Computer Tracking Software, Data Leak Prevention System, Keylogger. LanAgent is a computer monitoring software and computer tracking software. It controls and monitors activity on any computer connected to the local area network of your organization. The program allows you to detect the activities that have nothing to do with work and will show you how efficiently your employees spend their office hours. It is also the internet monitoring software because of having such features as IM tracking, visited web sites recording, E-mail correspondence monitoring. LanAgent works in a stels mode. LanAgent is data leak prevention system. It is your tool for detecting leaks of important information and also facts of talks with competitors. LanAgent Enterprise is a employee monitoring software. It is an easily scalable tool for employees' computers monitoring on your local area network. Having all features available in the standard version, LanAgent Enterprise has a built-in report scheduler, opportunity to use several security expert stations, has a security expert access rights manage tools. It also has security polices violation notification engine (notifications via ICQ and e-mail). The subscription mechanism is flexibly customizable. Access to data is granted only after authentication. LanAgent will help you solve one of the primary problems in information security - struggle against insiders. All in one. By buying a single application, you get a full range of powerful features for monitoring user activity and protecting confidential information. LanAgent is time-tested. LanAgent has been successfully used around the world for more than eight years now. The first version was released in 2005 and currently LanAgent enjoys the trust of over 10,000 companies, including banks, factories, and major industrial sites. View testimonials! Easy to deploy. No prior knowledge is necessary for installing and configuring LanAgent. All of the installation and configuration steps are performed remotely and invisibly to the user. You can bulk-install the client to multiple client computers in just minutes. And if you run into any issues, just contact our technical support pros. Improvements are added all the time. IT is constantly changing and so is our software for employee monitoring. We are constantly refining existing features and adding new ones to make sure that the solution you have remains the highest-quality one available. Legally sound. There are legal aspects to computer monitoring too and to make sure that everything is on a solid legal footing, you have to perform a few steps before you install: read this article. We give all of our clients a full set of documents on how to deploy the application and create legally binding pledges for their employees. Minimal up-front and ongoing costs. You do not need to buy extra hardware or software to use LanAgent. Licenses start at $49 per computer. Licenses to all of our products are not time-limited – no subscription terms, no recurring fees. Technical support is free and updates during the first year after purchase are free as well. Scalable and configurable. Based on your needs for monitoring computers, employees, or terminal server users, we will help you to find the perfect solution. So if you don’t see the features that you need, write us and we will find what works for you. Head of company. With LanAgent you can track how efficiently your employees spend their working day. To monitor them in real time, create reports for any period. LanAgent will allow you to increase the efficiency of employees working day usage. Information security specialists. LanAgent has a lot of special features such as external storages plugging and removing detection, controlling texts typed on the keyboard and copied to the clipboard, coping of confidential documentation detecting, recording of users IM chatting, detecting of talking with prohibited contacts via IM or e-mail, competitors websites visiting and etc. These features are very useful for detection of confidential information leaks and talks with competitors. IT specialists. LanAgent will allow you to find out what exactly has been happening in the system. You will always know about all activities carried out on computers on your local area network. Screenshots will allow you to see what is happening on users' monitors. Logs all keystrokes (keylogger, keystroke recorder). Screenshot recording (Makes screenshots within the specified time interval). Watches clipboard contents (Clipboard monitoring). System Event Monitoring (Time tracking). 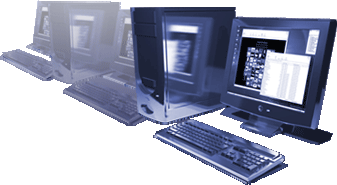 Software installation and removal monitoring. Track IM chatting (ICQ, MSN and etc) (IM tracking). Records all websites visited (website monitoring). Skype conversations monitoring (text messages, voice conversations, files transferred between users). External storages plugging and removing detection (Devices monitoring). Makes a shadow copy of files copied on a USB devices by employees. Printed documents tracking (Logs documents send to the printer). Monitoring the file system (Files and folders monitoring). Active notification about security policy violations. Centralized data storing (in the database on server). Installing and removing agents remotely. Getting logs from agents to the administrator's computer automatically. Data encryption (Logs are sent in the encrypted form over the network). Stealth Mode Installation and Monitoring (Agents are absolutely invisible on users' computers). Sending text messages to users' computers.